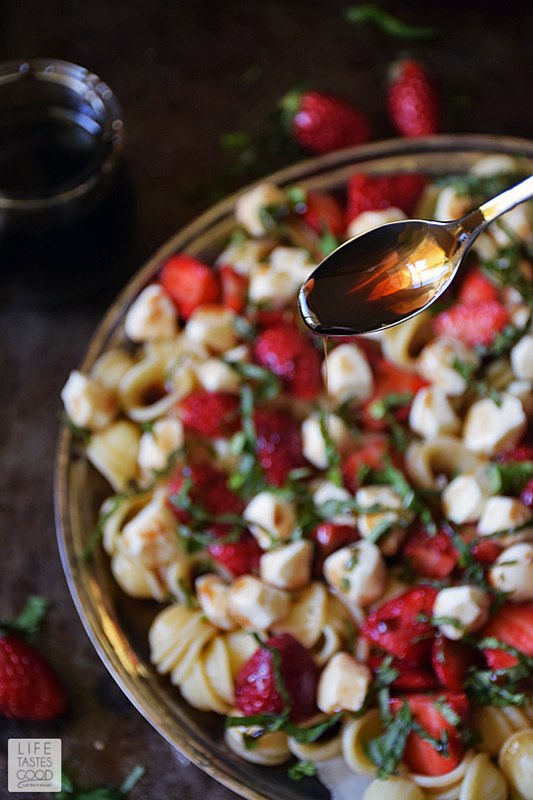 Strawberry Caprese Pasta Salad is a twist on the traditional Caprese Salad. Instead of tomatoes, I used sweet Florida strawberries for a refreshing change to this classic flavor combo! Today, the #SundaySupper Tastemakers are partnering with the Florida Strawberry Growers Association to kick off the new year with fresh strawberries! We are sharing our favorite strawberry recipes to get the new year started deliciously! Be sure to scroll down past my recipe to visit all of the #SundaySupper recipes. 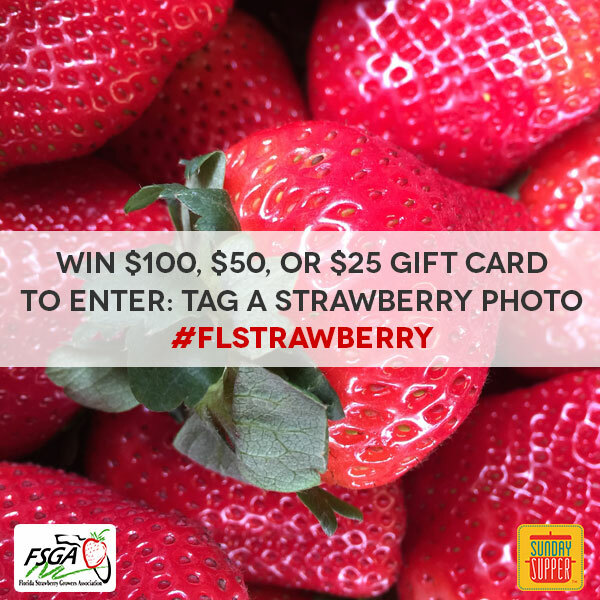 Did you know Florida strawberries are harvested in the winter? It's true. You can enjoy the taste of summer all winter long, regardless of the weather outside! Florida strawberries are available from December through April and they are the sweetest, most delicious strawberries I've ever had! 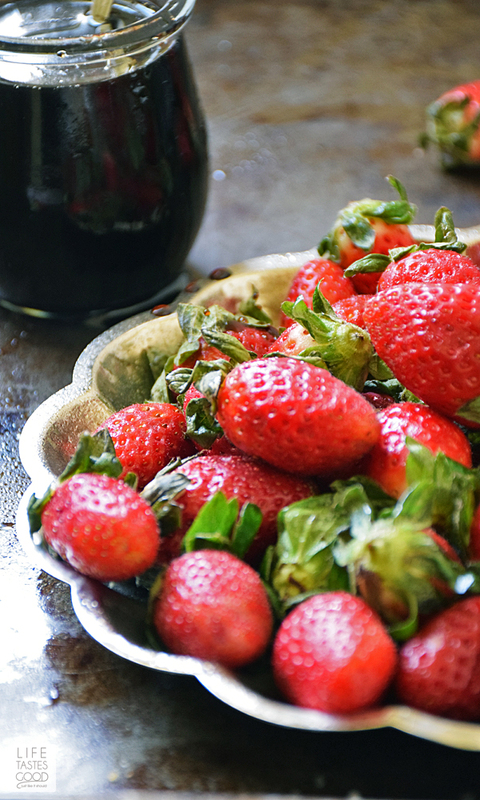 Not only do these beautiful berries taste great, they are packed full of good-for-you stuff. Loaded with vitamin C and antioxidants, fresh from Florida strawberries make it easy to add flavor and nutrition to all of your favorite recipes. I easily could have stood there dipping and eating all those strawberries until they were gone, but thank goodness I restrained myself! 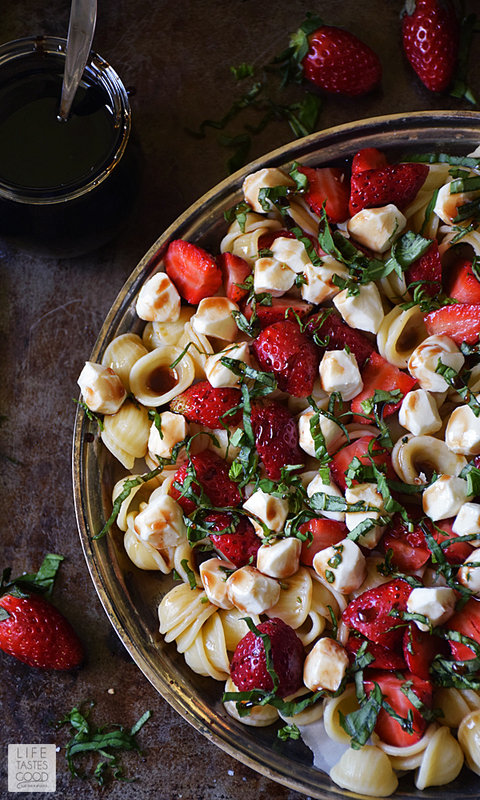 I needed the strawberries to make this stunning Strawberry Caprese Pasta Salad. What a wonderful flavor combo in this salad! The fresh strawberries, basil, and mozzarella combined with the pasta and drizzled with a tangy balsamic glaze made a refreshing light lunch for me and the perfect side salad for my husband with his favorite BLT sandwich. Now that you know strawberries are available from Florida all winter long, how will you bring the taste of summer into your home? Cook pasta as directed on package. Drain, reserving a little of the pasta liquid. Rinse the pasta under cold water and chill in the freezer for about 10 minutes. Remove the pasta from the freezer and place in serving dish. Toss with a little of the pasta water. 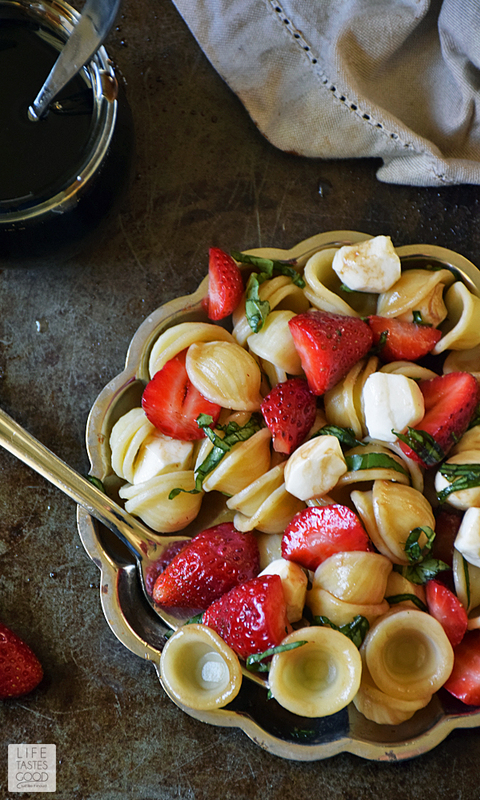 Top the pasta with fresh strawberries, 4 ounces of Mozzarella pearls, and 1/2 cup fresh basil chiffonade. Drizzle with balsamic glaze. Give it a taste and add salt and pepper as needed. Serve with extra balsamic glaze. 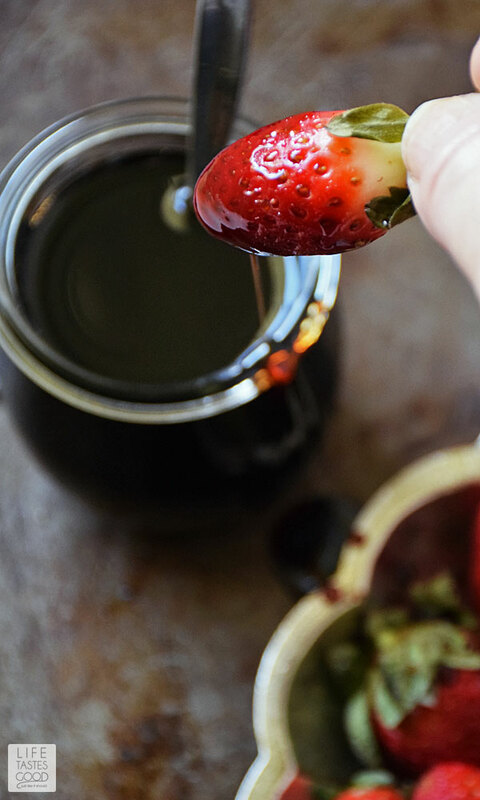 NOTE: I make my own balsamic glaze, but you can purchase it already made for you. If you purchase it, be sure to look at the ingredients. I recommend buying one that has just balsamic vinegar and sugar listed for best results. Enjoy! I just want to comment with ten, "!!! ", because seriously this looks divine! 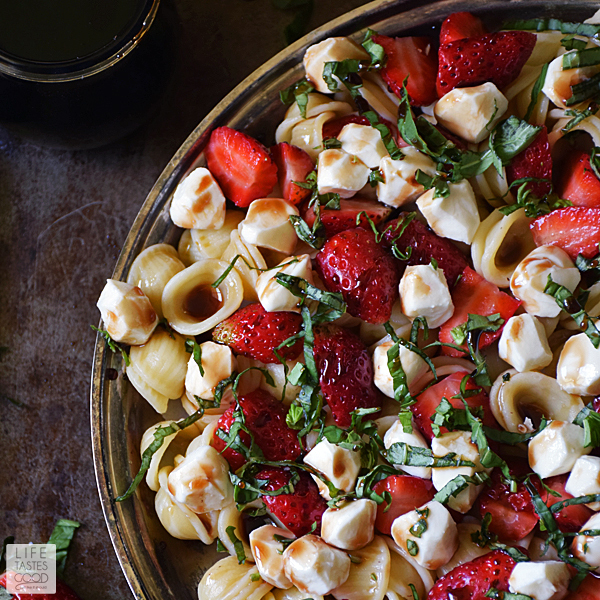 I love simple pasta salads like this and your addition of fresh Florida strawberries is just perfect! This is gorgeous! 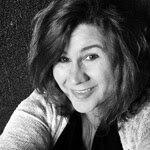 I love how easy it is too! A great take on caprese! What a great idea for using strawberries! I've got to make this for my family. What a gorgeous salad! Thanks for the inspiration, I'm making it soon. Your salad is absolutely gorgeous. And it has my favorite pasta in it too. I'd eat it for days. Yum times a million!! I want this salad right now! What an incredible recipe!!! Looks amazing and I bet it tastes even better! Can't wait to try this recipe!